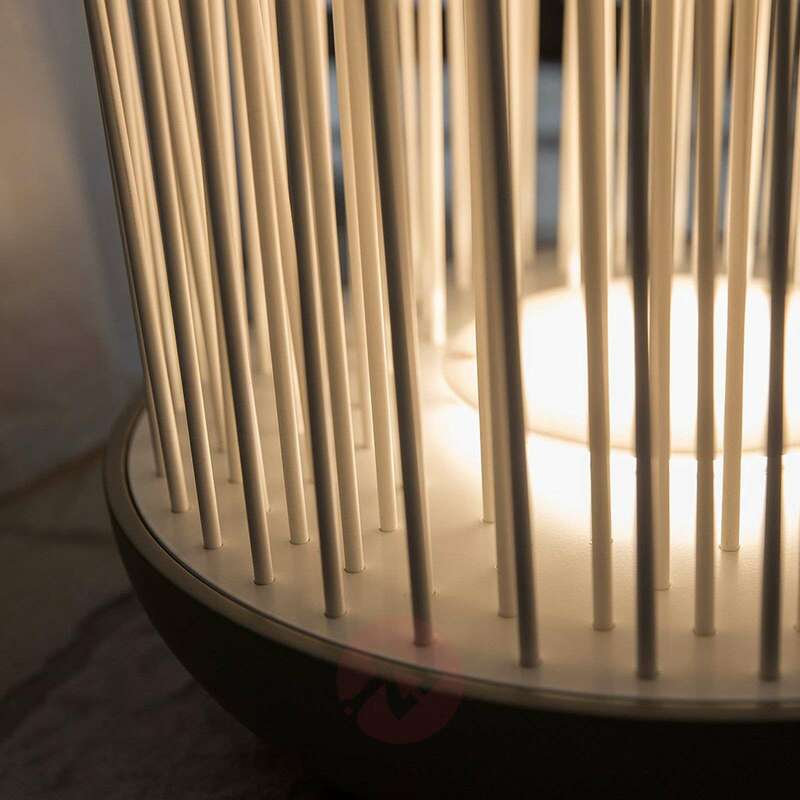 The extraordinary design of the LED floor lamp Don’t Touch tempts you to touch it. This is precisely the desire that the light is supposed to evoke in the beholder - reinforced by the negatively formulated name “Don’t Touch”. Prohibitions have the tendency to trigger precisely those actions which should be avoided. 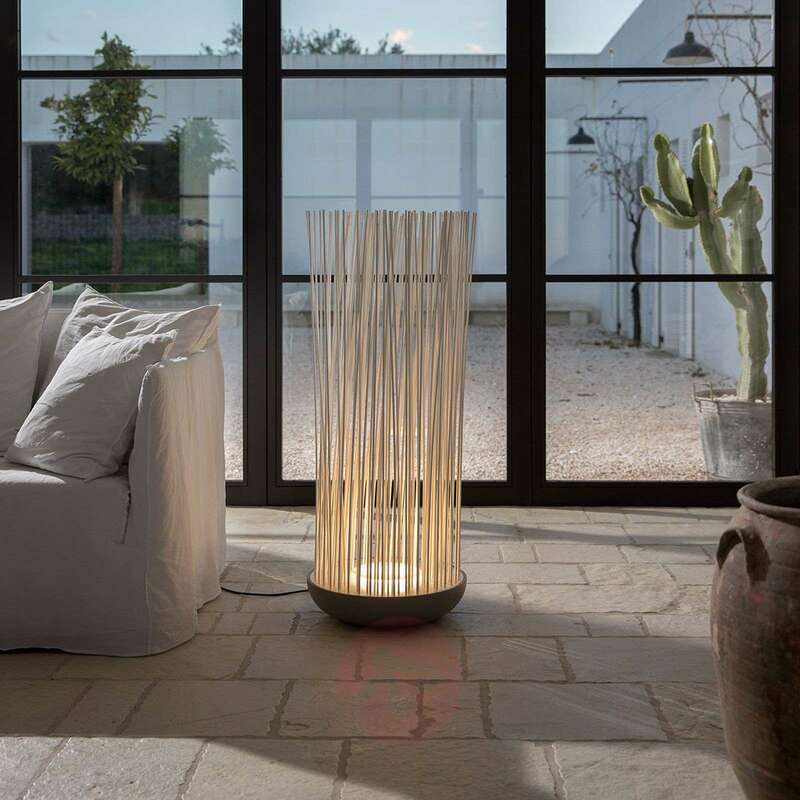 This is also the case with this object from the designer lighting manufacturer Karman from the small town of Fossombrone in central Italy. Whilst lights generally only appeal to one of the five senses, specifically that of sight, the designer Matteo Ugolini deliberately designed Don’t Touch to appeal to the sense of touch as well. What you can see sometimes has to be revised by the additional experience of touch. This is also the case with the floor lamp Don’t Touch. 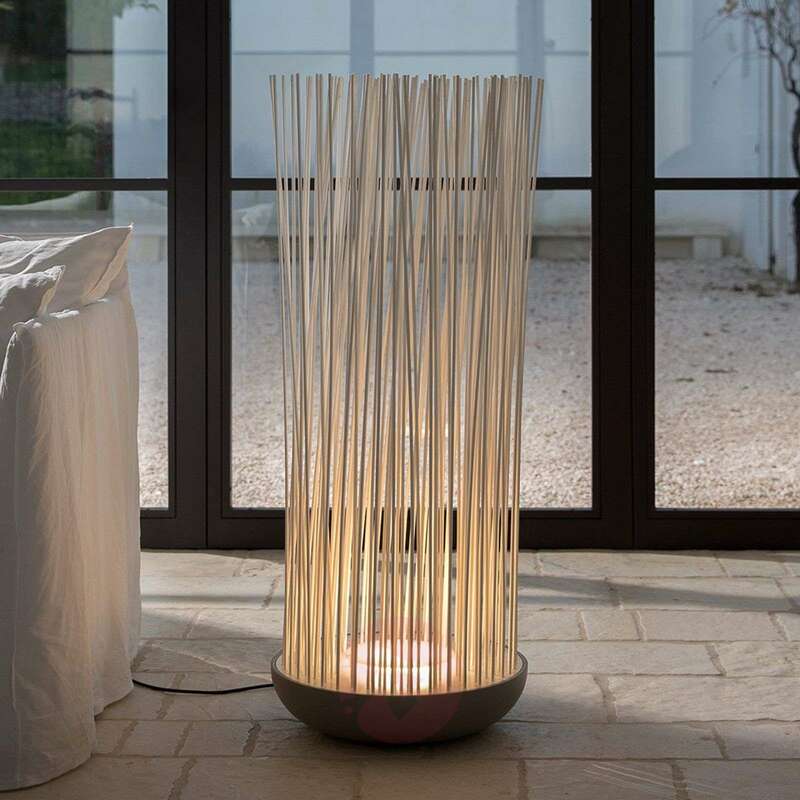 At first glance, the rods which form the lampshade look like cane or wicker, from which baskets are woven. 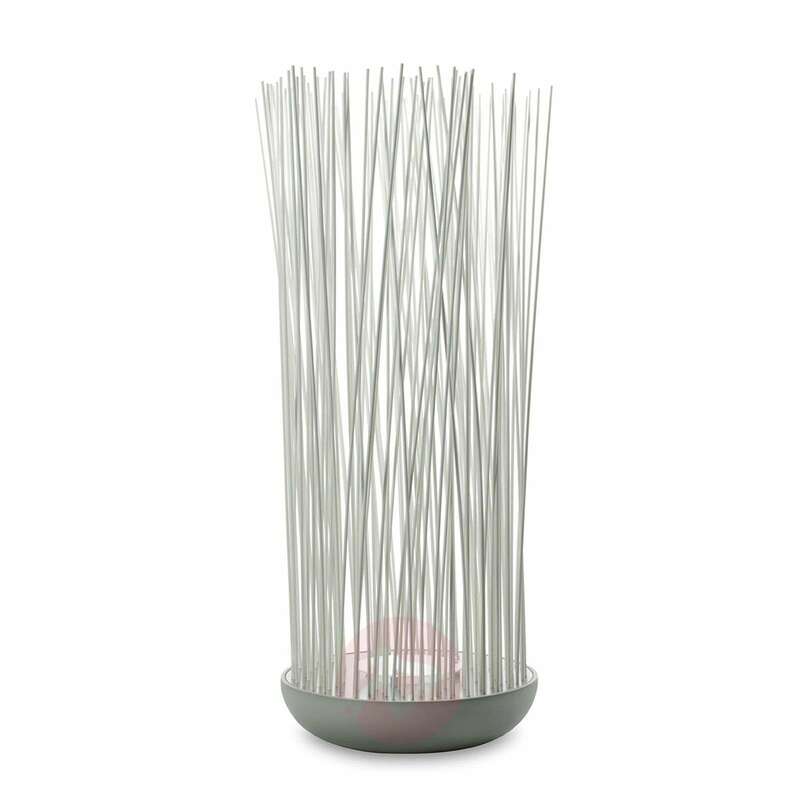 When you touch the rods, you realise that they are made of plastic. The mobility of these rods makes it possible to alter the shape of the lampshade. The top ends of the rods can be bound together with a silicone ring (incl.). Regardless of the lampshade shape that you choose, the lighting effect is particularly cosy due to the fact that the light comes up from below due to this gentle veil of rods.